This Little Boy is About to Realize What his Dad Does for a Living. His Reaction Is Priceless! What happens when a kid gets to be taken to his Daddy’s workplace for the first time ever?Well, if it’s a boring office space, it might not be too thrilling. But when your Dad commands an enormous, fast moving locomotive, then you are no doubt totally impressed and you instantly give props to the old man! 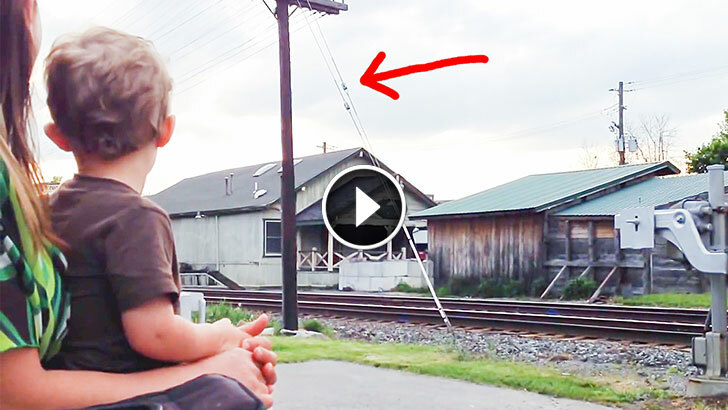 This kid is blown away as Daddy pops his head out of the front of the train and waves to his boy while the thunderous, fast moving locomotive whizzes on by! This kid is going to go home, break out his train set and start dreaming of someday being just like his train-driving daddy!